The grip on this Dress Sgian Dubh has a sliver colored thistle on the top of the pommel. The sheath features a basket weave designs and silver colored fittings with thistle designs. 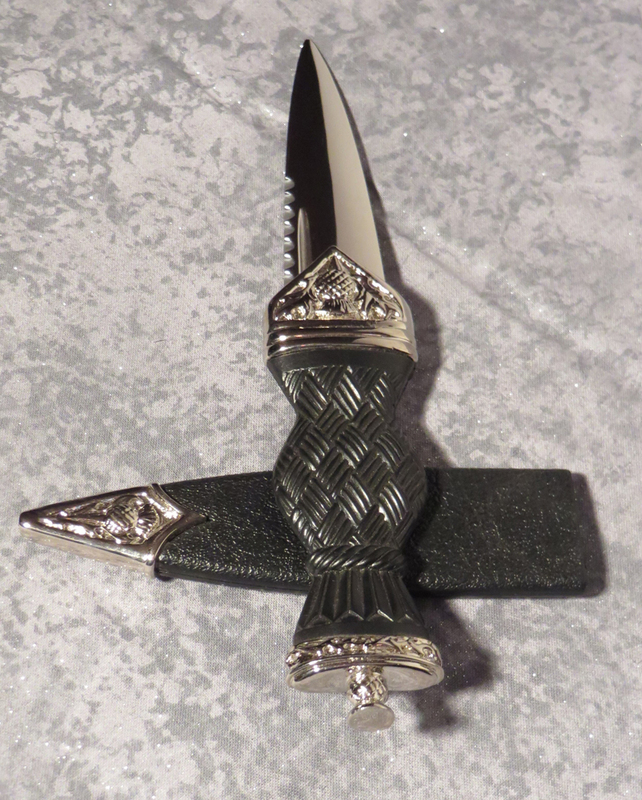 This Dress Sgian Dubh is capped with a silver colored thistle. The fittings have a thistle design on the front and on the back of the sheath. There is a basket weave design on the grip. The fittings are plated to keep them looking good longer. It’s sheath is made of a sturdy synthetic material with a leather like texture. Each knife comes with a gift box and a short history of the sgian dubh.